DC TV Fall 2016: We Want You! With San Diego Comic-Con 2016 happening in about a week, it’s likely many reveals maybe just on the horizon for comics, films, and television series. This is especially true for the DC Television Universe which generally has a strong presence at the event. 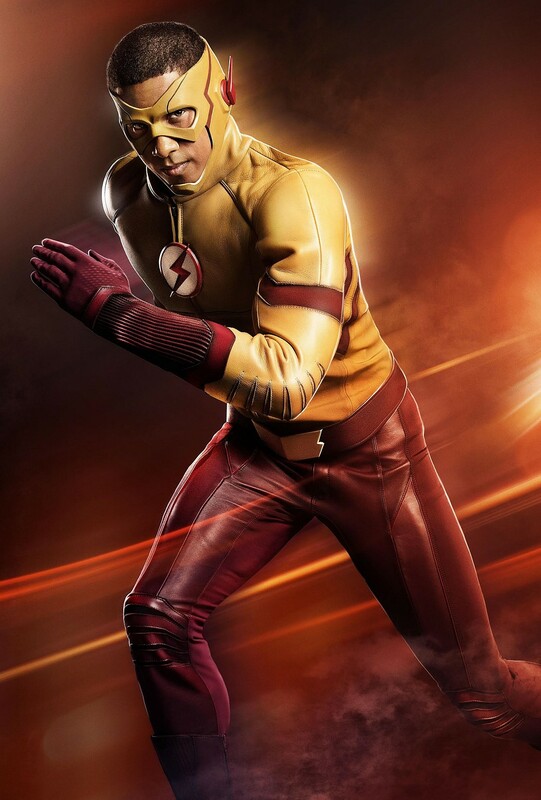 Character announcements, plot reveals, and trailers are undoubtedly on the way (with news already emerging of Wally West becoming Kid Flash this Fall) and with the announcement of the adaptation of the event Flashpoint at least impacting The Flash and Arrow (and possibly Supergirl and Legends of Tomorrow), more so than since the beginning of the individual series that make up the DCTVU, viewers are heading toward the unknown. Comic Art Community has already speculated upon what maybe coming for Supergirl and Legends of Tomorrow this Fall as viewers are left to wonder if Shantel VanSanten will return as Patty Spivot to adopt the persona of Hot Pursuit, if Wentworth Miller will become Citizen Cold, and if Manu Bennett will become the pirate Deathstroke. Lets then take a look at what new characters may make their first appearance in the new Flashpoint-based reality of The Flash and Arrow for the DC Television Universe. A modern day Doctor Jekyll and Mister Hyde, Bobbie Stephenson accidentally turned herself into a hulking brute in a botched experiment. Adopting the name Mrs. Hyde, Stephenson would revert to and from her monstrous dual identity choosing to work as a mercenary in order to finance a cure for her condition. As a member of The Resistance in London financed by the US Government to combat the Amazonian military, Stephenson was led by Grifter and joined alongside Lois Lane, Etrigan the Demon, Question, Vertigo, Godiva, Kid Devil, Britannia, and Canterbury Cricket. In the struggle against the Furies, female soldiers that swore fealty to the Amazons, Stephenson would betray her team in return for a cure. However, Stephenson’s alternate persona Mrs. Hyde was firmly on the side of the Resistance and joined the battle against the Furies. While unlikely the elements of the Amazon/Atlantis war will emerge in the upcoming DC Television Universe season, rather frequently large, physically imposing characters make it into Flash and Arrow which would indicate Mrs. Hyde could be an interesting introduction given both her abilities and the depth of her character. 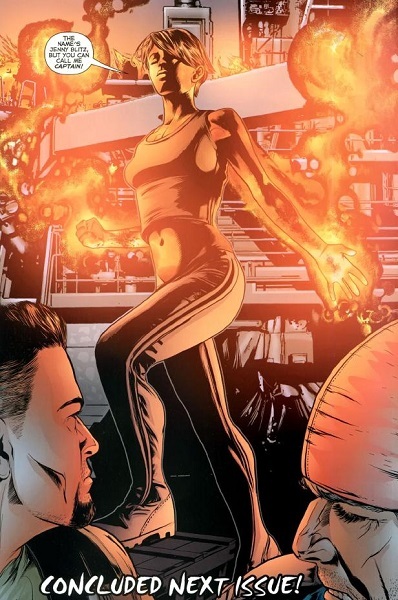 Created by the Caretaker, Jenny Blitz is a metahuman with the ability to make things explode by looking at them. 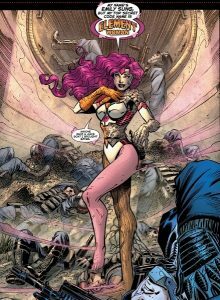 Placed in stasis, pirate captain Deathstroke would inadvertently liberate her while searching for his daughter Rose Wilson (another prisoner of the Caretaker). Considering her abilities, Deathstroke enlists her aid in his search by making her co-captain (and consequently, they became lovers). Blitz’ ascension as co-captain led to a mutiny by some of Deathstroke’s crew resulting in the demise of Icicle and reveal of the Caretaker’s deal with Sonar to reacquire Blitz for a price. Deathstroke used this to trade Blitz for his daughter only to be double-crossed by the Caretaker which saw Deathstroke release Blitz to wipe out Caretaker’s operation. Ultimately, only Deathstroke, Rose, and Blitz would survive the conflict. Pairing her unique ability with her relationship to Deathstroke (who may or may not return in the upcoming season of Arrow), Blitz could be a good fit for the DC Television Universe Fall season. Sam Scudder was a common crook who stumbled upon a means to enter mirrors (which led to dozens of other feats employing the same). Dubbing himself the Mirror Master, Scudder become one of the most frequent and dangerous enemies of the Flash. However, even more dangerous, Mirror Master proposed forming a group from the Flash’s greatest opponents called the Rogues. With other founders including Captain Cold, Heat Wave, Captain Boomerang, Pied Piper, and the Top, Mirror Master and the Rogues became arguably the most dangerous supervillain group in the entirety of comics. In the Flashpoint setting, Captain Cold instead became Citizen Cold, Central City’s champion who largely filled the Flash’s role in that timeline. 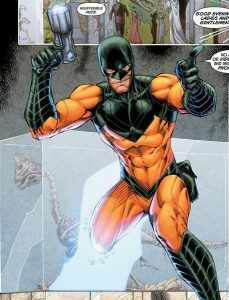 Where Cold led the Rogues for much of the recent years in the main timeline, Mirror Master was the leader of the Rogues of the Flashpoint timeline out to eliminate Cold. Mirror Master represents one of the few major foes of the Flash yet to emerge in the series and reportedly the character (along with Doctor Alchemy) were seriously considered for the second season of the show. It seems extremely likely the third season maybe the point at which Mirror Master will make his grand entrance into the DC Television Universe. Little is known about Emily Sung save that she is the powerful superheroine Element Woman and that she’s not quite mentally stable. Bearing the same powers and a physical likeness to Metamorpho the Element Man (or, perhaps more accurately, Urania Blackwell the Element Girl), Sung was a key ally to Cyborg and his forces in the various conflicts within Flashpoint. Sung would turn up in the post-Flashpoint timeline as a recruit to the Justice League via Cyborg. However, following the events of Forever Evil, she would transition into the Doom Patrol. 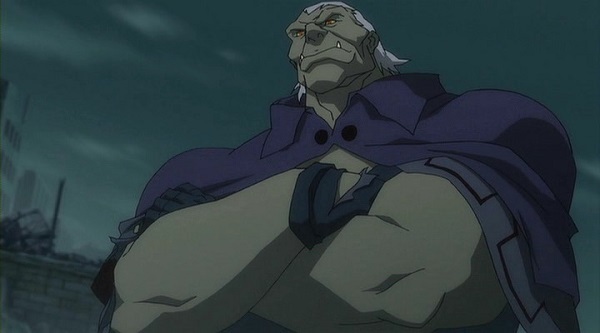 There appeared to be some interest in Metamorpho in relation to The Flash as the series would employ his nemesis Simon Stagg in its first season. Metamorpho, who gained his powers from the ancient artifact the Orb of Ra (fashioned from a meteorite discovered in Egypt with transmutative properties) and was the lover (later husband) of Stagg’s daughter Sapphire, was a prominent superhero in the comics having served in the Outsiders and Justice League of America. Element Woman would fit in well with The Flash with her eccentric behavior, vast array of abilities, and her connections to her well-known male counterpart Metamorpho. The mysterious Outsider was born Michael Desai in Chandigarh, India and whose metagene was active since at least birth. Recognized by his chalk-like complexion, Desai lost his mother in childbirth and when his father rejected him, a six mile wide sinkhole emerged killing thousands but leaving the babe unscathed. Entered into an orphanage, Desai would run away at age six and inevitably form an empire, turning his home country into an international superpower. Seemingly aging at a reduced rate with nigh-indestructible skin and immense physical strength, little is known about the extent of Desai’s (who adopted the name of the Outsider) abilities as he rarely leaves his foes to survive and is one of the most wealthy men on Earth. 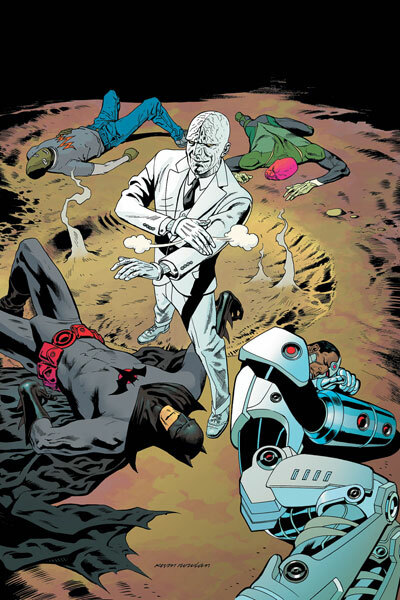 During the events of Flashpoint, Desai was forced to align with Cyborg and his forces for the sake of his vested international interests. What’s interesting about the Outsider in reference to the DC Television Universe is that a version of his seeming nemesis would appear as a villain for The Flash in Blackout (portrayed by Michael Reventar). With so little known about what the third season of The Flash could entail, while likely the Reverse-Flash will play a significant antagonist role, the Outsider could be uniquely qualified as a perfect main villain for the season given his immense abilities and portrayal in the comics as a powerful, wealthy, connected mastermind. The Comic Book Industry: Creator Rights or Wrongs?